A spring snowstorm is greeting commuters in Maine and parts of New Hampshire. Meteorologist Donny Dumont from the National Weather Service said 8 to 10 inches of snow is expected across a swath from Greenville, Maine, east to the Canadian border. Lesser amounts were expected on the coast, and in far northern Maine. The snow, which will end Monday night, was enough to create a messy commute. Northern lanes of the Maine Turnpike were closed in Saco because of a crash. 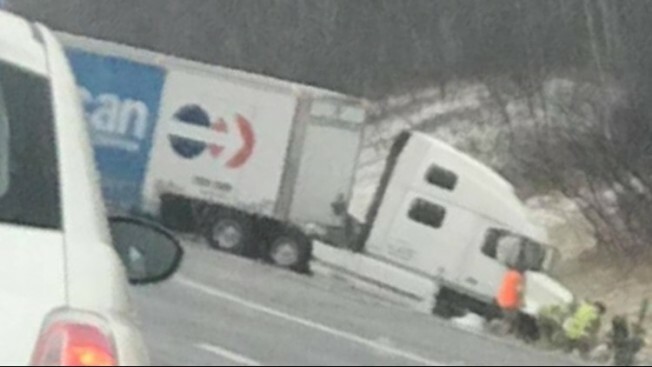 Troopers say a multi-vehicle crashed caused a tractor-trailer to slide across the median and collided with another car in the northbound lanes. Non-life-threatening injuries were reported.